Home » Blog » What are soft skills, and why does every MBA grad need them? What are soft skills, and why does every MBA grad need them? Students working toward an MBA learn a vast array of skills with the potential to advance their careers. 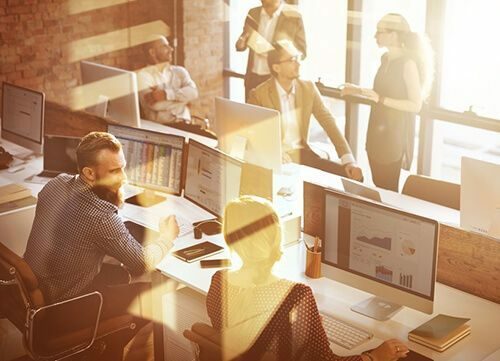 Understanding the principles behind analyzing data, managing corporate finance and setting a business strategy are all essential parts of becoming a successful leader. However, decision-makers are realizing that extensive knowledge and occupational competence are not enough to carry an organization forward. In many situations, soft skills can play just as significant a role as hard work and sound strategic decisions. Expertise in handling interpersonal relationships and perseverance in the face of adversity make for stronger leaders and result in their teams accomplishing more. All MBA graduates should have a clear understanding of why soft skills matter and a plan for strengthening their own. Soft skills include a huge variety of proficiencies and personality traits, and different ones may be most relevant depending on your position and industry. For MBA students interested in expanding on their qualifications, it is vital to take into account what specific qualities will give you an edge in the job market and workplace. Being able to express ideas clearly is the cornerstone other soft skills rest upon. A study conducted by the US Agency for International Development pointed out that communication makes workplace advancement possible in a tremendous range of fields. At every level of an organization, from entry-level workers to executives, knowing how to get a point across in meetings, presentations and writing leads to greater opportunities. Anyone who has worked on a complex project knows how easily deliverables and milestones can get off schedule. Priorities evolve and deadlines are moved according to the needs of the business, rather than a strict timetable. The agility to adapt to changes in scope and timing without losing momentum is often the difference between a solid, dependable worker and an individual with leadership potential. Organizations are always interested in employees who possess the critical-thinking ability necessary for advanced problem-solving. Taking on a leadership role requires plotting a way through unexpected challenges by gathering relevant information, efficiently using resources and developing effective solutions. With companies increasingly reliant on big data, it’s more important than ever to have individuals who know how to use numbers to create meaningful results. Understanding how you fit into an organizational culture allows you to work with others toward shared goals, which reflects well on everyone involved. Productive collaboration makes projects run more smoothly by allowing you to receive immediate feedback and learn from others, with team members holding each other accountable. The most valuable employees and leaders find ways to improve and grow the business. The ones who come to the table with unique strategies for cutting costs and exploring new opportunities can end up making a huge impact. Every job has its own demands, so there is a great deal of variation in what soft skills are most useful and how they are applied. Each individual must consider how best to demonstrate self-awareness and dependability in the workplace. Staying on top of a project as it increases in scale, emotionally connecting with other people or presenting to a crowded conference room may come more naturally to some people than others. Strengthening any of these skills is a complex process that takes focus, determination and organization. You can learn strategies for breaking down complex problems, finding convincing ways to phrase your ideas and tactics to get the most out of every member of a team. Studying how others complete these tasks successfully and putting conscious effort into your own growth can go a long way. At the same time, it helps to identify precisely what skills you need to work on before you embark on this process. Reviewing performance evaluations you’ve received from supervisors or a professor and completing a self-assessment may uncover areas where you are falling short of your goals. Put some deliberation into prioritizing the soft skills that are most relevant to you. Choosing specific behaviors to improve will give you the best chance of achieving noticeable progress. Consider changes you can incorporate into your everyday routines, like giving your full attention to co-workers when they are speaking and asking more questions during meetings. With these kinds of smaller shifts, making an effort to engage others and take proactive steps can quickly become a habit. How can an MBA program improve your soft skills? The right education can advance your soft skills just as it does your technical knowledge. In recent years, educational institutions have become increasingly aware of the demand for training in areas like verbal communication, self-awareness and tenacity. An MBA program may include courses geared toward building specific leadership techniques, but soft skills are woven into every aspect of the curriculum. A philosophy that encourages teamwork and personal accountability prepares students to take those values into the office. Working closely with others who have similar goals leads to valuable and transferable experience. Students choosing a program should consider the resources available for bolstering soft skills. Online MBA programs can provide these opportunities, even if most collaboration occurs remotely. Daniel Wright, PhD, vice dean of the Villanova School of Business noted in a LinkedIn Pulse post that taking MBA courses online can involve even more networking across a varied peer group than attending on-campus classes. There is endless variation in how individuals work toward increasing their soft skills during their education and throughout their work experience. These abilities make a tangible difference in how employees and leaders do their jobs. In survey results published in Business Communication Quarterly, executives rated integrity, communication ability, courtesy, responsibility, social skills and positive attitude as the qualities they most wanted to see in new hires. Developing soft skills like dealing proactively with adversity or speaking in public takes personal commitment and practice. An MBA program can help by offering tips and plenty of opportunities to team up with others. When working efficiently and effectively with a team becomes difficult, that’s precisely when those soft skills are the most important. Select an MBA program dedicated to preparing students for today’s business challenges by developing the whole range of abilities necessary to succeed and lead in today’s workplaces. Villanova University’s Online MBA program offers an advanced education in hands-on technical knowledge, theoretical perspectives and vital soft skills. Visit the program page to learn more about what Villanova School of Business has to offer and find out how to apply.